As the domestic businesses expand, many are making the choice to use foreign products, labor, and services to aid in their production. Global supply chains are minimizing the costs of the production process but are also creating vulnerabilities to home countries. As the global economy changes, the competitiveness between countries grows. Competitiveness can affect everything from a country’s economy to how a firm conducts international business. Addressing the need to find a method to increase the United States competitiveness in the world economy by improving the use of global supply chains would help to make domestic firms more successful in the global economy. Studying how companies position themselves abroad is important to providing insight into how to become more competitive. Worldwide companies are diversifying by moving more of their supply chain to international locations. This is providing them with many benefits such as better markets for products, lower costs, and more advanced technologies. As a result, the competitive strategy of companies is to increase production and decrease costs through the most efficient global supply chain. Maximizing the potential of domestic firms’ global supply chains is one of the most effective ways to increase U.S. competitiveness. If more big businesses in the United States are willing to participate on the global level, then the US will be able to improve their competitiveness. Competitiveness is becoming a rising issue for the United States economy. As more countries are utilizing global supply chains to advance production processes, the US is being left behind. These supply chains could be the solution to helping solve the problem of international competition. Global supply chains give many different reasons to diversify internationally. Lower costs, more efficient production, and better market prices all provide incentives for domestic businesses to expand abroad. There are risks to going global though. High costs and lead time risks in transportation can hinder the ability to become more competitive internationally. If a company can overcome these then they should be able to maximize the supply chain efficiency and increase competitiveness. As the competitive economic freedom level of the US continues to fall, blame is being placed on many of the current domestic and foreign policies. The falling competitive level is being accredited to anything from poor product quality, healthcare, taxes on imports and exports, and foreign policy. In order to deal with this, President Barack Obama has put solving this issue on his national economic agenda. There are many possibilities to help slow the fall of US competition such as altering policies to allow for more open trade or production of higher quality product, but the best result may lie within the businesses themselves. If the businesses decide to produce using a global market then they should be able to produce better quality products while also helping the United States competitiveness problem. The belief is that as domestic companies expand their supply chains globally, the overall economic competitiveness of the United States will rise. Global supply chains for domestic companies will benefit the US competitiveness most because as they move abroad the production will become more efficient, less costly, and the result will be higher quality products. Now why would the United States care about how competitive it is in relation to another country? Competitiveness is how one country economically and socially compares to another. National competitiveness can be misinterpreted by a number of factors, such as cheap and abundant labor, natural resources, government policy, and management practices, and price-competitive goods. These are things that can help to make a country more competitive but they are not the factors that determine how competitive a country is. In reality, these are all things that make a country’s companies or industries more competitive. What makes a nation competitive is the productivity levels of the industries and the nations standards of living. Productivity is the value of the output produced by a unit of labor. This value relies heavily on both quality of products and production efficiency. The productivity of a nation has a great effect on the nation’s standard of living. Just like with any other ongoing competition, a country must always be improving to compete with others. This means constantly improving productivity, as well as investing in new growing industries with potential. All the while, the productivity of multiple specific industries must be simultaneously improving. It is important to understand what competitiveness really is in order to figure out why a country would put so much effort into it. Why should a nation care about its competitiveness or if its companies diversify with global supply chains? There are many incentives to diversify and make companies supply chains global. Costs, supply chain efficiency, and markets are all major parts of the overall reason to globalize a supply chain. Increasing the competitiveness of your own company as well as home country are also side benefits to this move. Moving anything from a factory, top management, the whole production process, suppliers, or workers themselves can provide small to large benefits for the company. Many companies still attempt to maximize only what they can control and overlook the value of the global view. They concentrate only on what they can see in their local operation and not maximizing their output which is a common mistake by many business leaders in every industry. 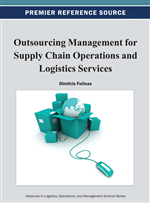 Effective global supply chains are no longer an option, but a requirement. Companies within the global supply chain must find new ways to communicate and cooperate with other suppliers and producers. To maintain a competitive advantage in today’s market, a business should work on increasing their productivity and service flow. Businesses and corporations know that opportunities they receive optimize their potential.